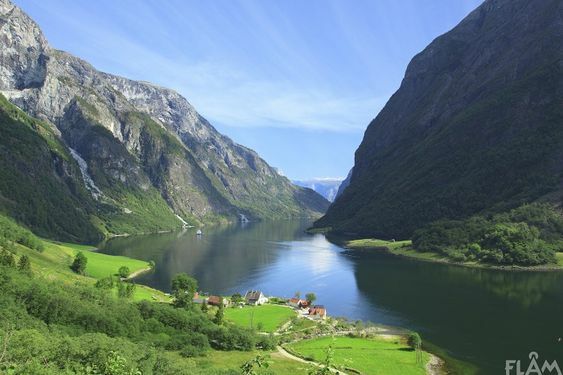 The fjords of Norway are undoubtedly among the world’s greatest natural wonders. Awe-inspiringly beautiful stretches of water surrounded by cliffs and mountains, they stretch for thousands of miles along the country’s coastline, and anyone who has taken a trip to see or cruise down them will never forget the magic of what they have experienced. 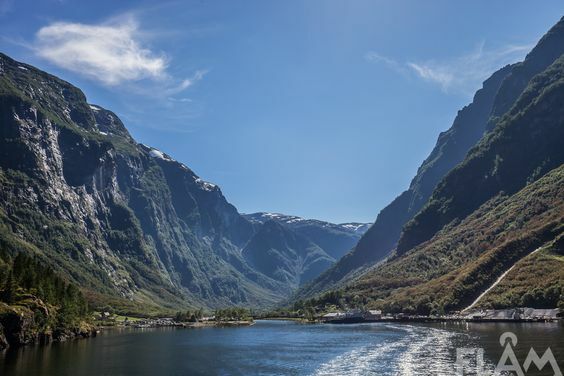 In this article, we will take an in-depth look both at what makes the fjords themselves so special and what else visitors can spend their time discovering if they are considering exploring this incredible corner of the world. 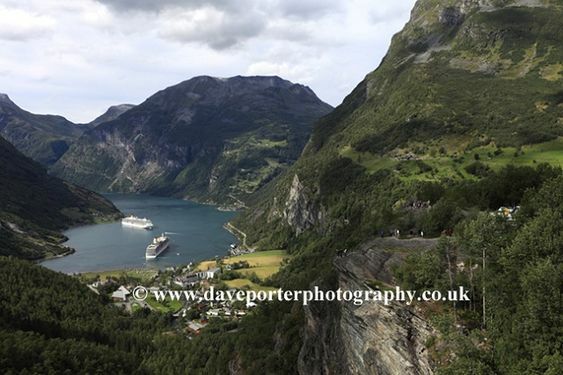 It goes without saying that the primary reason people take a cruise departing from Southampton to the Norwegian fjords is to see their beauty up close, as even the most skilled of photographers could not replicate the incredible experience of being there in person. Having said that, however, those who have spent time capturing the fjords on camera themselves are in a better position than most to comment on the amazing natural features which make the fjord landscape so special. “When you ask people around the world what they associate with Norway, chances are a lot of them will answer the fjords. “I first visited the UNESCO Norwegian fjords to see for myself the beauty that Norway has to offer. Having looked at endless photos, I can assure you they do not do the fjords justice, you need to see them for yourself, up close and personal. 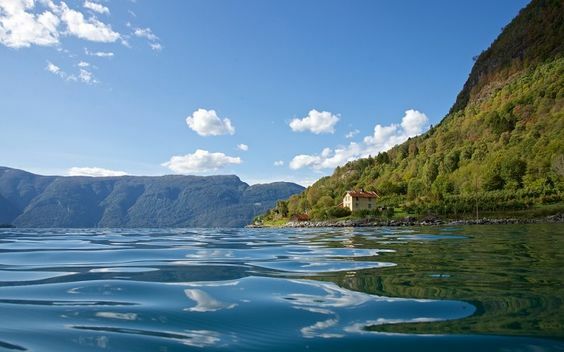 “There are more than 1,000 fjords in Norway, all the way up its jagged coast. Most of the iconic ones I wanted to visit and photograph, like the Nærøyfjord, Sognefjord, Lysefjord, Geirangerfjord and Hardangerfjord, are located on the south west coast. “If you base yourself in the city of Bergen, there are numerous day cruises that take you into the fjords and you can really experience the majestic scenery close up, with numerous waterfalls, free-flowing rivers, deciduous and coniferous forests, glacial lakes, glaciers and rugged mountains around every corner. “Go first to the tourist information centre in the Fish Market to see what trips are available. For great value, the Bergen 24 hours Card, will let you enjoy free bus travel, free admittance to most museums, attractions, sightseeing and much more. “You can spend days exploring Bergen - there's a wealth of historic buildings, museums, gardens, parks and shopping. The Fløibanen Funicular Railway goes up to Fløyen mountain and its panoramic viewpoint looks over the city and surrounding fjords; it's an absolute must-see. “The Bryggen, alongside Bergen's harbour, features colourful wooden houses on the old wharf, once a centre of the Hanseatic League's trading empire. “As a photographer I spent 2 weeks doing all the above attractions and can safely say it was one of the best visual experiences of my life. 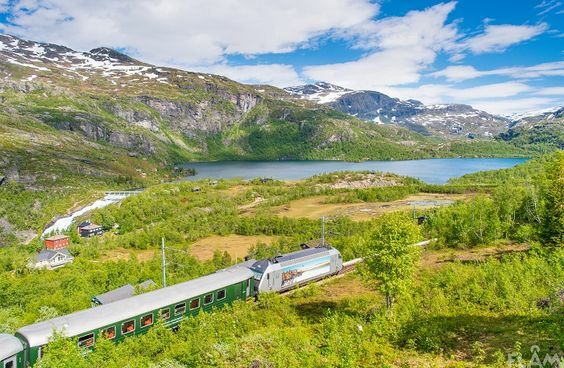 “You can visit Norway to sit in bars, cafes and have a lay in your comfy bed, but you will miss the clean, fresh air and visual splendour of one of Mother Nature’s most rugged and beautiful landscapes”. 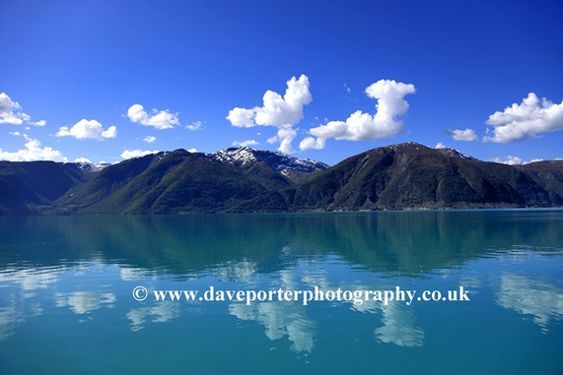 You can view Dave’s incredible collection of Norwegian fjord photographs on his website – and order your own copies to get truly inspired - by clicking here. “I live here, but I always feel like a first time visitor when travelling among Norway’s beautiful fjords. There is always a certain mood here and there is always something new waiting to be seen. If it is the fog rolling in, the beautiful Nordic light or even the rainy days, it is always worth being there to experience it. It’s a photographer’s dream but no picture will ever do it justice! You have to experience it. “And don’t forget to look at the surface of the fjord to see porpoises or whales come up for air. 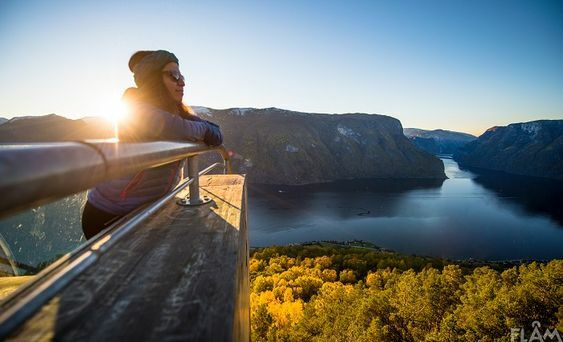 Whilst visiting the Norwegian fjords is undoubtedly a memorable and highly worthwhile experience, it can unfortunately be the case – as with any holiday destination – that those who spend a week or two relaxing in their splendour do not always appreciate that the area is also home to many people. It is important that anyone who visits the Norwegian fjords makes the effort to understand and respect the fact that they are part of a delicate ecosystem which local people and organisations work hard to protect all year round. 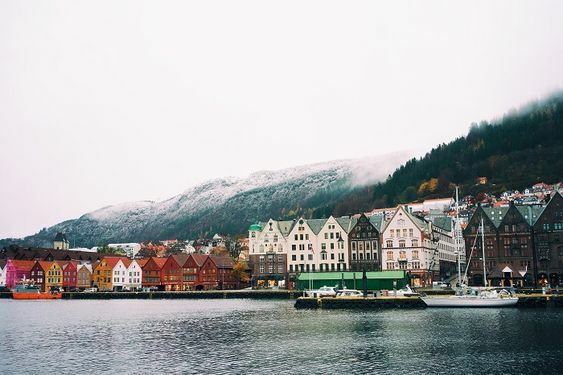 “One of the first things you notice entering Bergen by sea is the iconic wooden houses of the World Heritage Site Bryggen. Stroll around the area, soaking in the fascinating history offered by a city guide. Visiting the cultural city of Bergen, home of the world famous composer Edvard Grieg, you can enjoy his classical music but there are also many other cultural events to fit everyone’s needs. 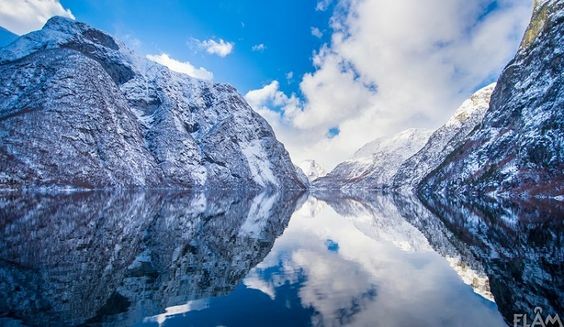 “Beautiful Flåm is located right at the inner end of a branch of the world's deepest and second-longest fjord, the 204-km-long and 1,308-metre-deep Sognefjord. Surrounded by steep mountainsides, surging waterfalls and narrow valleys, this area is paradise for anyone seeking the unique and spectacular wonders of nature! 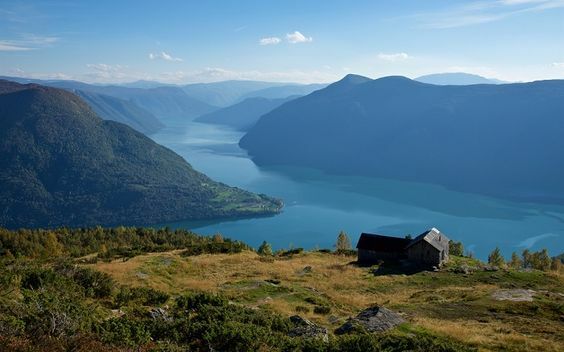 “Few places in the world can offer as breath-taking landscapes as the fjords of Western Norway. Two of these areas are on the UNESCO World Heritage List; Nærøyfjord was inscribed on the list in 2005. 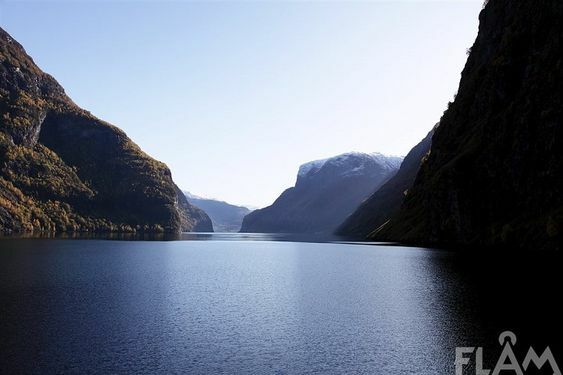 This unique fjord is 17 kilometres long and only 250 metres wide at its narrowest. “The mountains around the fjord rise steeply up to 1,800 metres, with the constant thunder of waterfalls cascading down their sides. Small farms unconnected to roads can be seen at several places along the fjord, evidence of the time when the fjord was this area's most important transport artery. If you get the opportunity to independently explore the wider area around the Norwegian fjords during your visit, you will find that there are plenty of brilliant activities to choose from which cater for all members of the family, from child-friendly attractions to fascinating historical sites. Here, we pick three of our favourite attractions from around the Norwegian coastline which you can choose to spend a day at if you have the opportunity. It’s quite a diverse list, so you’re sure to find something of interest! 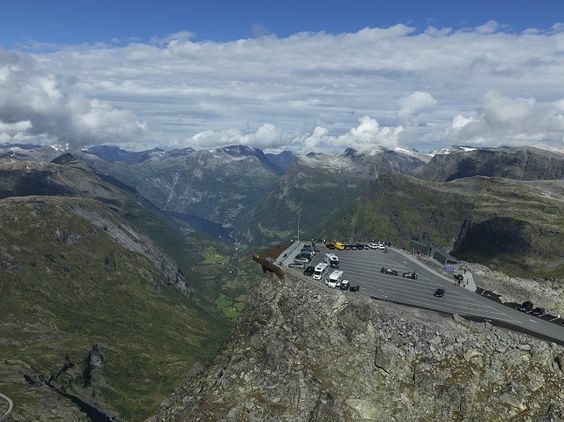 The first attraction we spoke with was the Geiranger Skywalk at Dalsnibba, in the county of Møre og Romsdal. Dalsnibba is a towering mountain which rises to a summit of nearly 5,000ft and, as such, offers perhaps the most extraordinary view you will ever have had the privilege to enjoy. Looking down at Geirangerfjord below and the surrounding mountains will make you feel positively tiny – in the very best way! Experiencing this most amazing of views is made possible by Geiranger Skywalk, a fantastic viewing platform which opened in August 2016. What’s more, the platform is completely accessible, with an accompanying parking area allowing visitors to step out of their car or coach and straight onto the skywalk. If you are keen to get a little exercise during your trip, however, you can always stop at the lower car parking area and walk up the approximately 400m-long path to the top which was restored whilst work to construct the skywalk was being carried out. Below, you can find out what the team at Dalsnibba had to say about why visiting will prove to be such an unforgettable experience. “Geiranger Skywalk – Dalsnibba is a guaranteed airy experience, and quite possibly the world’s finest view – 1,500m above sea level. “You will have an unforgettable experience of fjord culture, views towards the snow-covered mountains, pure air and the World Heritage Area – all at the same time! 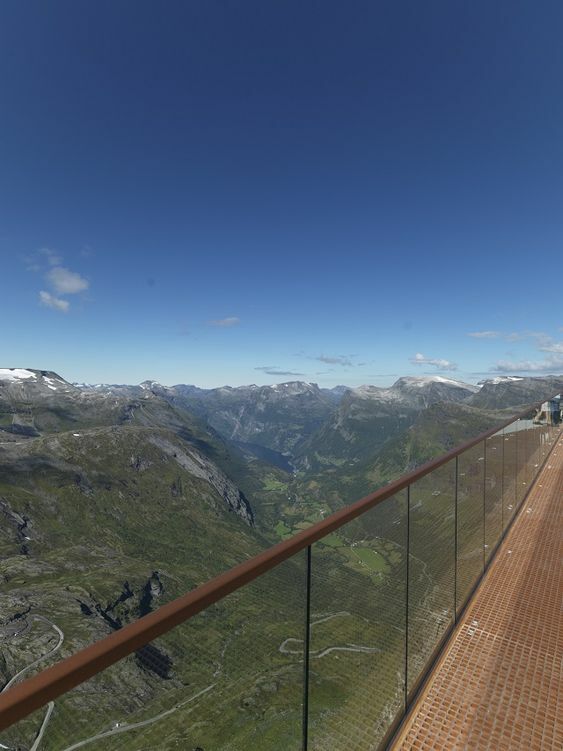 “Thanks to its ingenious floor surface and glass rail offering unimpeded views, Geiranger Skywalk gives you a sensation of floating – though of course you are perfectly safe. As wonderful as the fjords are, and as awe-inspiring as they may be, that is not always enough to keep the younger members of our families entertained. 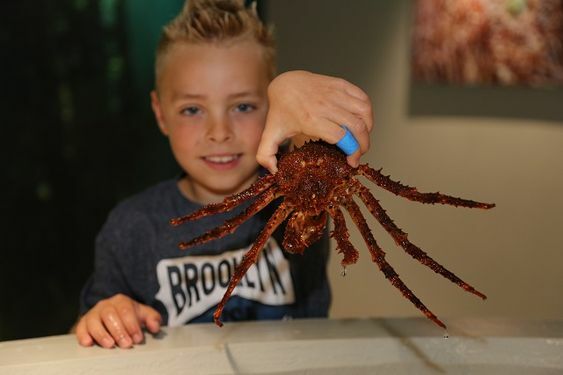 If you’re travelling with children, providing them with a little fun and excitement by taking them on a trip to the Atlantic Sea-Park in Alesund will be much appreciated and, what’s more, will allow them to learn a great deal about some of the world’s most fascinating marine life. 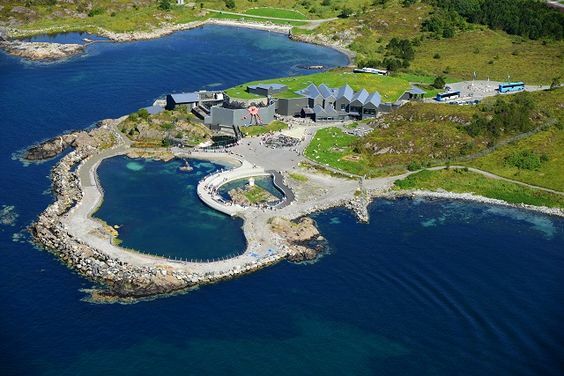 The Atlantic Sea-Park - also known as the Norwegian Aquarium and in its native language as Atlanterhavsparken – is celebrating its 20th anniversary in 2018 and, over the last two decades, has established its reputation as one of the country’s finest centres of both education and entertainment. The chance to see penguin and seal feedings up-close and to try your hand at crab fishing are just a couple of the many highlights which can be enjoyed at the aquarium. Read on to find out more about what parents and children alike can experience at the Sea-Park, from the team themselves. “Get to know the Norwegian sea life in the Norwegian Aquarium - located in Norway’s fishing capital, Alesund. “Facing the Atlantic Ocean and the deep Norwegian fjords, the visitors can observe, experience and learn about life at sea – the natural way. Every day, they convey real experiences in real surroundings in an interactive activity programme where you can learn by participating. The highlights are many during the day, but number one is the diving show. See the diver handfeed the biggest fish in the big Atlantic Ocean tank. You can visit Atlantic Sea-Park’s website by clicking here. The final attraction on our list allows visitors to become truly immersed in the rich and interesting history of Bryggen, the aforementioned wooden buildings which have been on the UNESCO list of World Cultural Heritage sites since 1979. Housed within the buildings themselves, the Hanseatic Museum and Schøtstuene are filled with artefacts which help guests dive into the story of what, for many centuries, was one of the world’s busiest and most important centres of trade. The significance of the museum’s contents becomes apparent when we consider that Bryggen is the last surviving example of the many foreign trading posts which were instrumental in the success of the Hanseatic League - an ambitious commercial and defensive alliance which was established in the 14th century and stretched all the way from the North Sea to the Baltic. 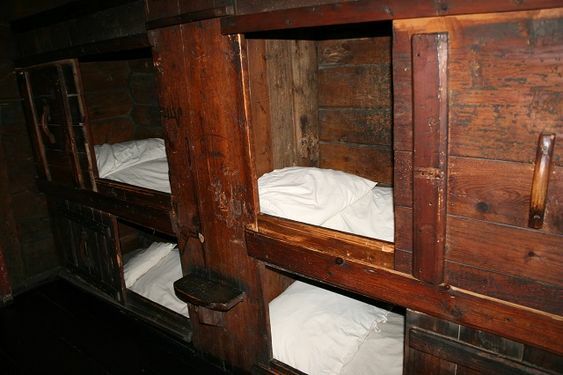 The Hanseatic Museum features a wide range of ancient artefacts, such as the beds pictured above, whose origins can be traced back hundreds of years. Visitors will feel like they have been transported back in time when they step inside the museum’s trading houses, which feature a faithfully maintained merchant’s office, guestroom and more. The fact that the building has itself operated as a museum since the 19th century is an indication of its impressive historic credentials. After exploring the museum, a quick walk to the other side of the Bryggen area will take you to Schøtstuene, which offers visitors another trip back in time to assembly halls and a kitchen which were used by Hanseatic League merchants during the winter months. Their wooden construction means that the houses on Bryggen have been particularly susceptible to fire over the years. 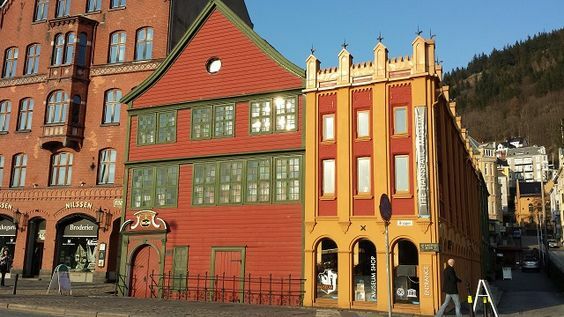 The Schøtstuene building, however, was set back behind most of the others, and is therefore one of the last remaining structures in the area that dates back all the way to 1702, when Bryggen was rebuilt after being badly damaged by fire. Of course, as beautiful as the fjords are, and as amazing an experience as visiting them is, we can’t deny that they can get very cold. 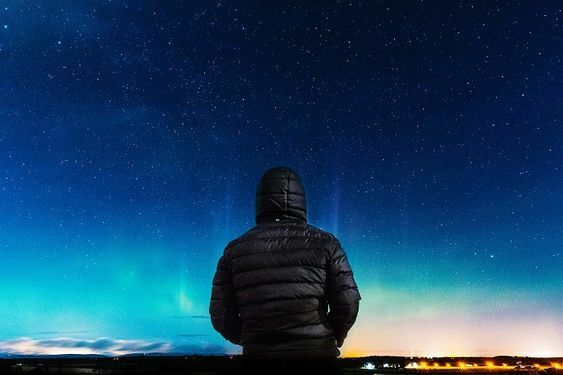 The Norwegian coastline’s vast, open spaces and northerly position inevitably means that temperatures can rapidly plunge below freezing, particularly at night and between the months of December and February – essentially, Norway’s winter is a more extreme version of the UK’s! Being unprepared for your fjord adventure could take much of the enjoyment out of what will otherwise be one of the finest holiday experiences of your life, so packing appropriately and wrapping up warm is absolutely essential. Below, you will find some invaluable advice about which clothes to take with you on your trip from WhatToWearOnHoliday, a website devoted to the tricky issue of how to pack for wherever it is in the world you will next be jetting (or cruising) off to. “Our clothing advice would be: pack for all weathers! The conditions can change very quickly, and you might experience all sorts in just one day. The key to this is packing light layers - for example, a short-sleeved t-shirt, long-sleeved top, fleece and waterproof. You can then wear as many or as few as required, depending on the temperature. For even more comprehensive details about what to wear when visiting Norway – as well as some general advice regarding which other items should make it into your suitcase – visit WhatToWearOnHoliday’s dedicated Norway page here.